A richly detailed historical novel from master storyteller Nicholas Christopher that School Library Journal calls "[A] lush tale of music, magic, and intrigue"! 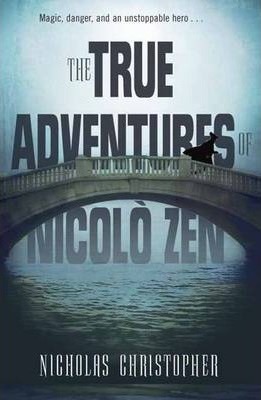 Nicolo Zen is all alone in 1700s Venice, save for his clarinet, which a mysterious magician had enchanted, allowing its first player to perform expertly. Soon Nicolo is a famous virtuoso, wealthy beyond his dreams, but he can't stop wondering if he earned the success himself--or what might happen if the spell were removed. And throughout it all, he continues to think about the girl he met in Venice, what she might be doing and if she's safe from harm. With a guest appearance by composer Vivaldi, and brimming with fascinating period details, this is a compelling coming-of-age story full of universal themes and a love story that will conjure memories of Romeo and Juliet, perfect for teens who love stories set in other times, and a magician who dresses all in white and can be in two places at once. . . .
"[A] lush tale of music, magic, and intrigue . . .a good choice for those looking for a lush, challenging read." NICHOLAS CHRISTOPHER is the author of six previous adult novels: Tiger Rag, The Bestiary, Franklin Flyer, A Trip to the Stars, Veronica, and The Soloist; eight books of poetry, most recently his new and selected poems, Crossing the Equator; and a book on film noir, Somewhere in the Night. He is a professor in the Graduate School of Arts and Science at Columbia University and lives in New York City.